More Talk Like a Pirate Day! 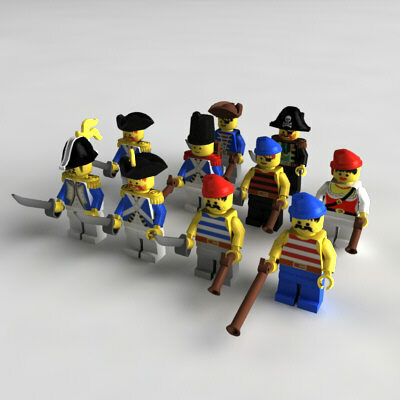 I hope everyone’s Talk Like a Pirate Day is in full swing and that you are enjoying the event! To help flesh out your celebrations, I’ve got some more pirate themed goodies for your enjoyment. First off is a 2006 edition of “The Theme Show” for Talk Like a Pirate Day. You can download the full episode from their website here and preview the set list. The compilation is rather respectable (aside from the Nick Jr. additions, which I simply can’t explain) and should provide excellent music for your Talk Like a Pirate Day Party, or perhaps provide suitable entertainment on your way to piratical misdeeds. In case you need some inspiration for a suitably pirate name, consider using this generator for some inspiration. For all my DIYers, consider marking this Talk Like a Pirate Day building your own mini cannon! Mwahah! For all your other Talk Like a Pirate needs including tips on how to woo a pirate, be sure to visit the official Talk Like A Pirate Day Website. In addition to talking like a pirate, you can also choose to dress like a pirate. For airship pirates, tomorrow is the perfect day to pull out your airship pirate wardrobe and wear it proudly. I remember celebrating Talk Like a Pirate Day when I was in college, dressed in my fully pirate garb and giving full answers to my professor’s questions on course material in Pirate. What was best about talking and dressing like a pirate on Talk Like a Pirate Day was the unsuspecting hordes that didn’t realize it was a day for celebration until they saw me approaching dressed in full pirate gear, shouting at campus tours in pirate, and toting the jolly roger on a flag staff.